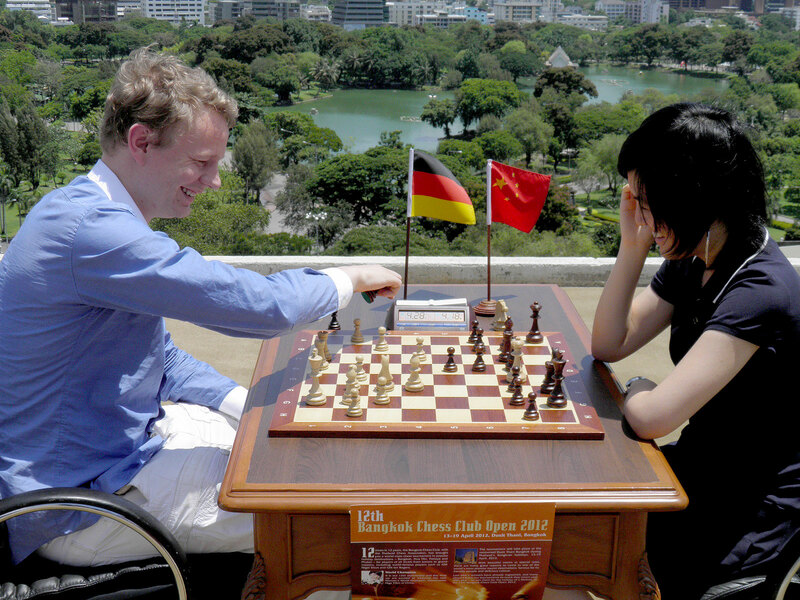 Bangkok Chess Club has the honour of inviting all Chess Players to participate in the 14th Bangkok Chess Club Open 2014 from 12th to 19th of April 2013 at the 5-star Dusit Thani Bangkok Hotel. The 13th Open hosted more than 300 players from 40 countries, and this year the tournament is expected to be the biggest and strongest open tournament ever held in Thailand. This is an individual tournament, open to all players with FIDE ID (if you do not have FIDE ID number, please contact your country’s rating officer). 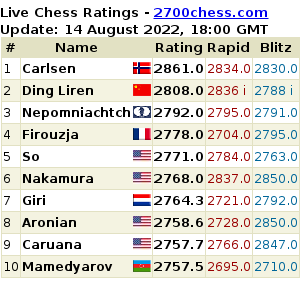 There are two groups of play: Open category for all players, and Challenger category for players rated below 2100 or unrated (ratings based on FIDE ratings – national ratings will be validated by the organizer). When registering, players must indicate in which group they wish to play. FIDE (International Chess Federation) rules and regulations shall apply. Results will be sent for FIDE rating calculations, and are eligible for FIDE title norms. Each player is accorded with a time control of 90 minutes for 40 moves + 30min for the rest of the game. In addition there is 30 seconds increment per move, starting from the move 1. Players are not allowed to bring mobile phones or other electronic devices to the tournament hall, any violation shall result in loss of game. Registration. Please complete the online registration form. The organizer will confirm your registration by e-mail. If you do not get a reply within a week, please send a reminder. Players must indicate in which group (Open or Challenger) they would like to participate. The deadline for registration is March 10, 2014. After this a late registration charge will be added. However, organizers reserve the right to refuse or decline late registrations. The rates are inclusive of service charge, VAT, breakfast and complimentary internet. The received deposits will be fully returned after check-in to hotel. Please contact organizer for inquiries.